Serving New Jersey for over 30 Years!! 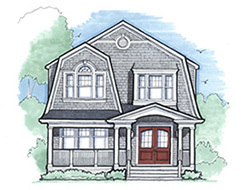 Kolarsick Builders is a long standing Building Company headquartered in Eastern Monmouth County, New Jersey. With over 30 years of experience, we are able to help homeowners turn their New Construction or Custom Renovation dreams into reality. Our finely crafted building projects run the gamut from new home construction to neighborhood developments, to commercial buildings with the capacity for: custom renovations, exterior and interior finish work, and home repairs. We take great pride in our work and invite you to explore our portfolio of custom craftsmanship.